ERBIL, Kurdistan Region — Recently-declassified reports on the interrogation of Asaib Ahl al-Haq leader Qais al-Khazali reveal further insight on the deterioration in relations with he and Muqtada al-Sadr — who leads the top list in Iraq’s parliamentary election. The reports were authorized for release by US Central Command months ago, but haven’t officially been made public, although The Wall Street Journal wrote on Thursday it has reviewed copies. He was captured by the United States in 2007 and handed over to Iraqi authorities in 2009. Khazali’s group has never been listed as a „terrorist“ organization by the United States, despite his alleged 2005 attack that killed five US soldiers and the recently revealed depth of training in explosives he received from the Islamic Revolutionary Guard Corps in Iran. In Iran, the native of Baghdad was trained on explosively-formed projectiles (EFPs), also called shape charges, which were responsible for thousands of coalition and Iraqi casualties during the US invasion and the resurgence. Khazali said in a report that the Iranians did not specify targets in Iraq, but urged Iraq’s Shiite militias to first target British forces „to force a withdrawal,“ thus increasing pressure on the United States to leave. Khazali said during the interrogations that many Iraqi officials were sympathetic or influenced by Iran, including late PUK leader Jalal Talabani. In Iraq’s parliamentary election on May 12, Khazali is supporting Hadi al-Amiri’s Fatih, which won 47 seats — second most. They are aligned with former Prime Minister Nouri al-Maliki’s State of Law Coalition. Sadr’s Sayirun, Haider al-Abadi’s Nasr, Ammar al-Hakim’s Hikma, Ayad Allawi’s Wataniya are partnered with the New Generation. The Kurdistan Democratic Party (KDP) and Patriotic Union of Kurdistan (PUK) will go to Baghdad on Saturday. They want all Kurdistani parties on board because it would give them as many seats as Sadr won — 54. Khazali called for all US forces to immediately leave Iraq in October 2017 because ISIS was beaten. He has recently joined in other calls by Shiite politicians to have a majoritarianism form of government because it would end corruption. Khazali also encouraged discussion of a presidential form of government. „We have to search for another system such as presidential or semi-presidential,“ the sheikh said during an Eid al-Adha sermon on August 22. Russia and China, the two foremost threats to the US named in official Pentagon reports, will carry out their biggest-ever military drill to reportedly include simulations for nuclear warfare. Russia, the world’s largest nuclear power, and China, another long-established nuclear power, have often clashed in the past and still hold many contradictory goals, but have become main targets of the US. But Russia and China have deep differences in nuclear philosophy, so it’s unclear how the pair will work together. Russia and China, the two key threats to the US named in official Pentagon documents, will carry out their biggest-ever military drill to reportedly include simulations for nuclear warfare. 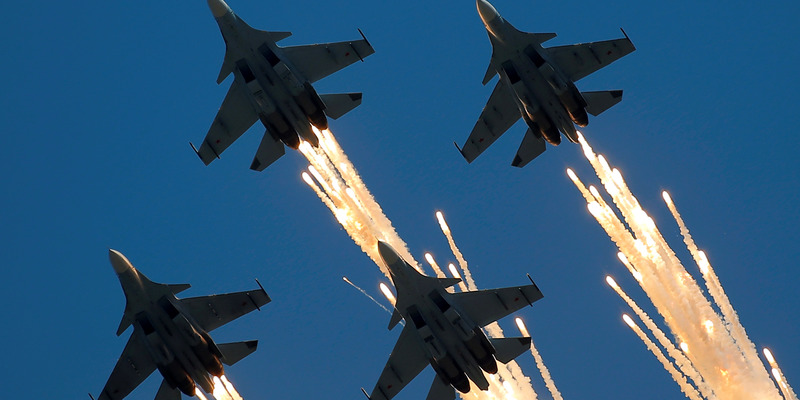 US defense officials told the Washington Free Beacon’s Bill Gertz that the drills, the largest in Russia since 1981 and the largest joint Russian-Chinese drill ever, will include training for nuclear war. Russia, the world’s largest nuclear power, and China, another long-established nuclear power, have often clashed in the past and still hold many contradictory policy goals, but have become main targets of the US. Under President Donald Trump, the US has redefined its national security and defense postures, and in both documents pointed towards China and Russia, rather than terrorism or climate change, as the biggest threat to the US. It’s unclear how China and Russia may coordinate nuclear war, as they have very different models of nuclear strategy. Russia holds the most nuclear warheads in the world, and has employed them on a growing number of dangerous and devastating platforms. Russia hopes to soon field an underwater doomsday device that could cripple life on earth for decades. Also, US intelligence reports indicate Russia is struggling with a new nuclear-powered, nuclear-armed cruise missile. China, on the other hand, has taken the opposite approach to nuclear weapons by opting for minimum deterrence. Where Russia and the US have established nuclear parity and a doctrine of mutually assured destruction where any nuclear attack on one country would result in a devastating nuclear attack on the other. Russia and the US achieve this with a nuclear triad, of nuclear-armed submarines, airplanes, and ground-launched missiles so spread out and secretive that a single attack could never totally remove the other country’s power to launch a counter strike. But China, with just around 200 nuclear weapons, has its force structured to simply survive a nuclear attack and then offer one back weeks, or even months later. Nonetheless, the Pentagon’s annual report on China said that Beijing trains for strikes on the US using nuclear-capable bombers. Russian Defense Minister Sergei Shoigu said this week that about 300,000 troops and 1,000 aircraft will participate, using all of the training ranges in the country’s central and eastern military districts. Beijing has said it will send about 3,200 troops, 30 helicopters, and more than 900 other pieces of military hardware. Ayatollah Khamenei tells Iran’s president and cabinet they cannot count on European support for landmark agreement. 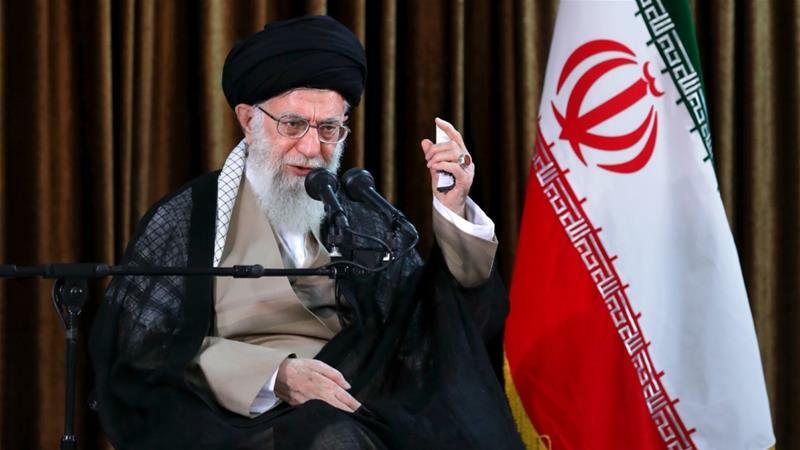 Iran’s supreme leader warned the country might abandon its nuclear deal with world powers, casting doubt on the ability of European states to save the accord following the US withdrawal. Ayatollah Ali Khamenei said in a meeting with President Hassan Rouhani and his cabinet on Wednesday they „should give up hope on [Europe] over economic issues or the nuclear deal“, according to his website. „The nuclear deal is a means, not the goal, and if we come to this conclusion that it does not serve our national interests, we can abandon it,“ he was quoted as saying. Iran would never negotiate with „indecent and confrontational“ US officials on a new agreement, Khamenei said. Following US President Donald Trump’s exit from the important international accord to curb Iran’s nuclear ambitions, European powers have scrambled to ensure Tehran continues to receive economic benefits needed to keep it in compliance. Khamenei set out a series of conditions in May for European powers if they wanted to keep Iran in the deal. They included steps by European banks to safeguard trade with Tehran and guarantee Iranian oil sales. Rouhani has been battered by the return of US sanctions that saw a rapid departure of foreign firms and ended his hopes of attracting large-scale investment. Conservative opponents of Rouhani, who have long opposed his outreach to the West, are smelling blood. Rouhani was criticised over his handling of the economy and parliament attacked his key ministers. On Tuesday, he was grilled in parliament over economy for the first time in five years as president. Legislators also sacked the minister of economy and finance as well as the labour minister. Iran’s official unemployment rate is 12 percent, with youth unemployment as high as 25 percent in a country where 60 percent of the 80 million population is under 30. The riyal has lost more than two-thirds of its value in a year. The worst may yet lie ahead as senior US officials say they aim to reduce Iran’s oil exports to zero after the new round of sanctions in November. Iran has said if it cannot sell its oil because of US pressure, then no other regional country will be allowed to do so either, threatening to block the Strait of Hormuz – the strategic artery linking Gulf crude producers to the world. A senior Iranian military official warned on Wednesday if foreign forces in the Gulf do not follow international laws, they would face the Revolutionary Guards‘ firm response. Iraqi and Kurdish officials on Thursday accused Iran of exerting pressure on lawmakers to align with Tehran loyalists. Political jockeying is at its height in Iraq as the country works towards forming a new government, following the victory of populist cleric Moqtada Al Sadr’s Sairoon coalition in the May elections. Today Mr Al Sadr is leading a quartet of major parties looking to form the next government if they can secure just 28 more seats to meet the required majority in Parliament. But while Mr Al Sadr has made a point of distancing himself from Tehran, Hadi Al Amiri, whose coalition came in second, is a staunch supporter of the neighbouring regime. Tensions have been mounting since Mr Al Amiri and former prime minister Nouri Al Maliki – also favoured by Iran – joined forces against Mr Al Sadr’s quartet bloc. Meanwhile, Tehran watches closely as the power struggle unravels. “Iran has held a gun to the head of political parties and politicians across the Kurdistan Region and Iraq to form a majority among [Nouri Al Maliki’s] State of Law and [Hadi Al Amiri’s] Al Fatah, some Sunni Lists and Kurdish political parties for the formation of the government,” an official in Kurdistan told The National on condition of anonymity. “Iran sees this issue and the rivalry with the US as a matter of survival,” the official said, adding that Tehran is seeking to exclude both Mr Al Sadr and incumbent Prime Minister Haider Al Abadi from forming a ruling coalition. Both blocs have also been competing to strike a deal with the Kurdistan Democratic Party (KDP) and the Patriotic Union of Kurdistan (PUK) as well as Sunni blocs to establish the biggest ruling alliance in parliament. former senior official in Gorran, the Kurdish political bloc, said that Iran is pressuring her party and the PUK to postpone the upcoming Kurdish parliamentary elections. “They are pressing us to postpone elections in order to focus our full attention on joining the Maliki-Amiri bloc,” Ms Abdel Wahid said in a press statement. But Kurdish parties have set out conditions for allying with the major blocs, an official in the KDP told The National, asking to remain anonymous. “The next few days will see meetings between the Kurdish delegation and officials in Baghdad. Our decision will be made in the interest of the Kurdish people and with respect to the Iraqi constitution,“ he said. „The decisions of Kurdish parties will not be influenced by either Tehran or Washington,” he said, confirming that Kurdistan’s authorities have received officials from Iran, Turkey and the US in recent weeks. Next Monday Iraq’s parliament is expected to convene its first session where MPs will elect a new speaker and two deputies. They will later elect a new president and task the leader of the largest bloc with selecting the next prime minister. The next elected premier will inherit the mammoth task of balancing Iraq’s interests with those of the US and Iran, whose intensifying rivalry complicates matters further. But political wrangling over who is appointed prime minister is likely to delay the process for weeks or even months. Russian President Vladimir Putin and President Donald Trump. It’s not clear in what context the warning was made, but both the US and Russia have stated under what circumstances they would use nuclear weapons. Russia’s warning to Mattis came in regard to the Baltic states, which have warned of Russia’s growing interference. At some point during the Trump administration, Russia told Defense Secretary Jim Mattis that it could use nuclear weapons in the event of a war in Europe — a warning that led Mattis to regard Moscow as major threat to the US. According to „Fear,“ Bob Woodward’s recently released book about turmoil in the White House, Moscow’s warning was in regard to a potential conflict in the Baltic countries of Estonia, Latvia, and Lithuania. The Baltics were part of the Soviet Union and have deep ties to Russia, which has sought to reassert influence there since the end of the Cold War. Those countries have tried to move closer to the West, including NATO membership. According to Woodward’s account, the warning from Russia came some time during or before summer 2017, when the Trump administration was haggling over the future of the Iran nuclear deal. At the time, President Donald Trump wanted to withdraw from the deal, claiming Iran had violated the terms. Mike Pompeo, then the director of the CIA, and Mattis didn’t disagree with Tillerson, Woodward writes, but they responded to the president’s assertions more tactfully. Mattis, long regarded as a hawk on Iran, had mellowed, according to Woodward, preferring other actions — „Push them back, screw with them, drive a wedge between the Russians and Iranians“ — to war. „Mattis, with agreement from Dunford, began saying that Russia was an existential threat to the United States,“ Woodward adds, referring to Marine Corps Gen. Joseph Dunford, who is chairman of the Joint Chiefs of Staff. Woodward offers no additional context for the warning, nor is it totally clear why that detail is included where it is in the book. Most nuclear-armed countries have policies that would allow their first-use in a conflict. The Baltic states have warned about what they perceive as increasing Russia activity against them, and there is evidence that Moscow is working on military facilities in the region. Imagery released earlier this year indicated ongoing renovations at what appeared to be an active nuclear-weapons storage site in Kaliningrad, a Russian exclave on the Baltic Sea, south of Lithuania. Russian President Vladimir Putin speaks during Navy Day celebrations in Baltiysk, in Kaliningrad, July 26, 2015. Tactical nuclear weapons typically have smaller yields and are generally meant for limited uses on the battlefield. Strategic nuclear weapons usually have higher yields and are used over longer ranges. Russia and the US have more than 90% of the world’s nuclear warheads, though Russia’s arsenal is slightly larger. Pentagon officials have said Russia wants to add to that arsenal, violating current arms-control treaties. During the Cold War, the Soviets expected Western countries to use nuclear weapons first and had plans to use nuclear weapons against NATO targets in the event of war, using larger-yield devices against targets like cities and smaller-yield ones — „tactical“ nukes — against NATO command posts, military facilities, and weapons sites. The US had a similar plan. The size of Russia’s current stockpile of non-strategic nuclear weapons is not known, though it’s believed to be much smaller than that of the Soviet Union. Russia has fewer „strategic“ nuclear weapons than the US, and „tactical“ nuclear weapons may be more handy for Moscow’s shorter-range, regional focus, Hans Kristensen, director of the Nuclear Information Project at the Federation of American Scientists, told The National Interest in late 2017.
Who is more secure today, North Korea and Iran or Libya and Ukraine? The latest news from North Korea is disappointing. That is, in the nearly three months since President Donald Trump’s Singapore summit with North Korean leader Kim Jong-un, prospects for the de-nuclearization of that country seem to be decreasing, not increasing. On August 24, Trump tweeted that he had directed Secretary of State Mike Pompeo not to travel to North Korea for more talks. On August 26, the North Korean newspaper Rodong Sinmun, mouthpiece for the Pyongyang regime, declared that the U.S. and South Korea were preparing an invasion. And on August 27, a CNBC headline blared, “The US is now ‘worse off’ on North Korea than it was before the Trump-Kim summit, expert says.” Needless to say, the American media are always looking for opportunities to slap Trump around. It’s hard, in fact, to argue that we’re worse off than we were a year ago, or five years ago. After all, North Korea is no longer setting off nuclear explosions, nor is it firing test missiles into the Pacific, nor is it releasing propaganda videos showing Washington, D.C., in flames, as it did in 2013, 2016, and 2017. Indeed, just last month, North Korea kept a promise made in Singapore and returned the remains of U.S. soldiers who died in the Korean War. It could even be the case that the Trump-Kim meeting had some positive effect on the relationship between the two mercurial leaders. As Trump said in Singapore, the two men now have a “special bond,” and such personal chemistry could well keep a lid on tensions. What does not seem likely, of course, is that North Korea will actually give up its nuclear weapons. After all, from the North Korean regime’s point of view, that would be stupid. North Korea lives in a rough neighborhood, shadowed by three nuclear superpowers: China, Russia, and the U.S. Then there’s South Korea, which is a sincere friend to the North Korean people, but is no more than a frenemy to the North Korean regime. And 40 miles away, there’s Japan, an historic enemy of all Koreans. The point here is not to plead North Korea’s case: the Pyongyang regime is, arguably, the worst in the world. Yet at the same time, it’s wise to understand why the North Koreans act as they do. As the experience of the Korean War taught us, when it comes to North Korean intentions, ignorance is not bliss. The general rubric for this sort of foreign policy thinking—common here at TAC—is “realism.” By such hard-nosed reckoning, it’s simply unrealistic to think that Kim is going to do something that he doesn’t think is in his interest. And for a couple of decades, the Kim dynasty has understood the value of nuclear weapons. At least until such time as there’s a robust and foolproof missile defense shield, nukes are the great power equalizer. From Pyongyang’s point of view, the need for such power equalization became all the more urgent after George W. Bush’s 2002 “axis of evil” speech. In that address, the 43rd president singled out North Korea, along with, of course, Iraq and Iran. At that point, all three regimes knew that they were in the crosshairs, and so two of them, North Korea and Iran, got serious about developing a nuclear program. From their point of view, upping their armaments made prefect sense; they needed a plan for defending themselves, and nukes do the trick. Thus we can see that nukes are the best friend of a designated “rogue regime.” Indeed, that lesson was underscored by the experience of another rogue nation, Libya. In the wake of regime change in Iraq, Libya voluntarily gave up the rudiments of its nuclear program. Finally, after decades of murderous roguery, Libyan leader Moammar Gaddafi seemed to be doing his best to work within with the international order. And yet Gaddafi’s late conversion did him no good: in 2011, the U.S. and other Western nations aided rebels, and he and his government were ignominiously destroyed. We can point to other cautionary tales about denuclearization. For instance, after the Soviet Union broke up in 1991, the newly independent country of Ukraine found that it had inherited some 1,700 nukes from the evil empire. Yet in 1994, urged on by the Clinton administration waving many pieces of paper, Ukraine chose to give up its nukes. It was less than 20 years later when the Russians did exactly what Mearsheimer had predicted—they attacked. Thus we can see: any national leader facing a serious foreign threat—whether democratically elected or a dictatorial tinpot—is better off if he or she can wield a nuclear arsenal. Now we can see more clearly the choices before North Korea’s Kim. He might be a thoroughly rotten person, and yet he’s well-fortified: the world can’t remove him without enormous cost, so it has to deal with him. Yes, it’s nice to explore whether he might yet be willing to reduce or eliminate his arsenal; he could, after all, have some sudden Damascene conversion. And miracles do happen, although they don’t happen very often. Moreover, it’s entirely possible that if Kim suddenly went peacenik, the non-peaceniks around him would step in to protect their regime, which is to say, get rid of him. We might pause now to consider that other member of the old axis of evil: Iran. The Iranians may or may not be abiding by the 2015 nuclear deal, but it’s naive to think that they don’t still want nuclear weapons. And given that Iran is a country of 80 million people surrounded by dangerous neighbors, it’s hard to see how anything short of national annihilation will stop them from getting nukes eventually. What they do with them, of course, is an unknown; this is where diplomacy, deterrence, and, yes, missile defense could yet make the difference. Mere facts on the ground, no matter how stubborn, are unlikely to dissuade any of these folks from their ongoing efforts to save the world. Yet as we have seen, the logic of nuclear proliferation is strong. Pakistan, to cite another nuclear-armed country, is a respected international player because of its arsenal, and wouldn’t be without it. For his part, Trump might not succeed in denuclearizing North Korea, but he might succeed in energizing the self-defense efforts of South Korea, Japan, and other countries. And yes, such upgraded efforts might include nuclear weapons. That’s not a particularly optimistic thought; it’s merely a realistic one. And as we have seen, after all the preachy illusions of Left and Right are flitted and frittered away, the world is left with something hard and lasting: reality. ERBIL, Kurdistan Region — Muqtada al-Sadr, the power broker in Iraq’s government formation, has called on supporters to rally and protest the corruption, sectarianism and partisanship within Iraq on the occasion of an upcoming “Unity Prayer” wearing death shrouds after months of stopping his protests. “Yes, you believers rush to helping your Marja and custodian to victory with all prestige, veneration and humbleness, wear shrouds just like worn as shields by the unjust,” reads a message by Sadr on Wednesday. The firebrand Shiite cleric has rallied relished the role of the opposition voice in Iraqi politics. “Yes you soldiers of reform rush to helping the success of the reformer of the era ‘Sayid Mohammed al-Sadr’ and his Friday,” he added, referencing his father. He says his father held Friday prayers while religion was “banned” and Iraq was held in a “prison where life was banned” by Saddam’s regime. Sadr, throughout the last year and sometimes this year, has organized 1 million-man protests to demand reforms and better services. This helped his list win Iraq’s elections. “Rush to a prayer of 1 million [men] from which the corrupt tremble, the oppressors get humiliated, the believer becomes humble and the oppressed get elevated,” called Sadr on his supporters. Sadr called on supporters to reject sectarianism, corruption, partisanship, terror and “to the occupier,” unclear as to whether he is referring to the United States. Sadr currently has formed an alliance with Iraqi PM Haider al-Abadi, Ammar al-Hakim and previous PM Ayad Allawi’s Wataniyah, while competing to win over Kurds and Sunni against the bloc of former PM Nouri al-Maliki. Iraq’s new parliament is to convene its first session no later than September 3 by presidential decree.